I’m sure there are plenty of very effective air purifiers on the market, yet somehow the Andrea purifier seems, well, purer – and I think it’s the living plants that do it. The Andrea is the first air filter that uses the natural absorptive and metabolic properties of living plants to remove toxic gases, such as formaldehyde, from home and office environments or wherever air stagnates. The award-winning design is the work of Mathieu Lehanneur and David Edwards, who tested the Andrea system for a number of years before it hit the shelves. 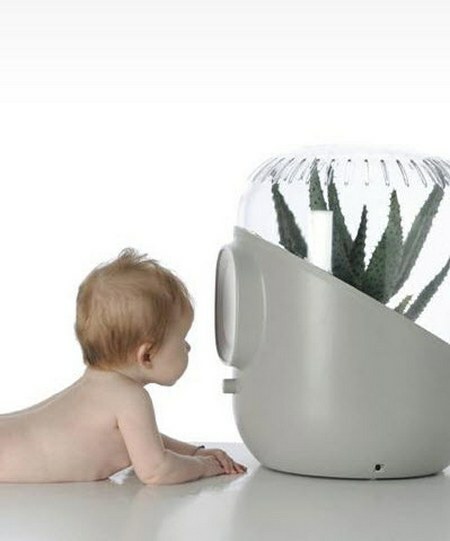 I like the fact that you can use any indoor plant in the Andrea, suited to your décor – we may not all want baby yuccas! Buy yours from Le Labo Shop for €149. Le Labo ships to Australia.